Shapes Indehiscent achene, thin-walled and one-seeded about 2 mm (0.08 in) in diameter. Most of us call quinoa (pronounced “keen-whah”) a grain, but it’s actually a seed. It is actually a Pseudo cereal as it is consumed and cooked just like grain and also has comparable properties. It has been preserved like grain and consumed as one of the chief food sources along with potato and maize since ancient times. Quinoa scientifically known as Chenopodium quinoa is widely cultivated plant in the family Chenopodiaceae. It is considered to have originated in the Andean region of South America. 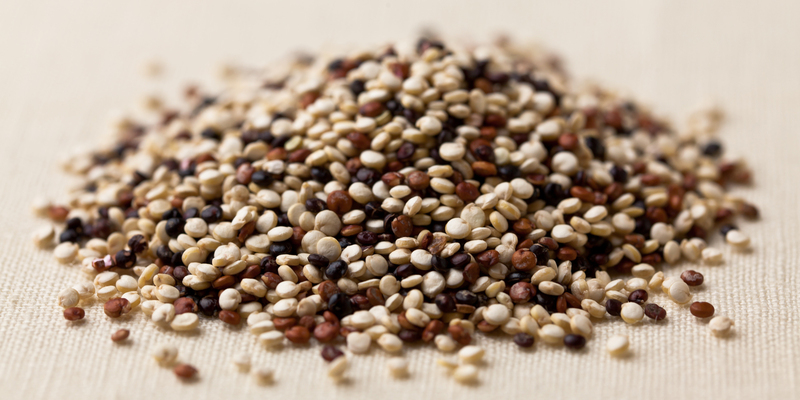 White quinoa, Red quinoa and Black quinoa are some common varieties of Quinoa. 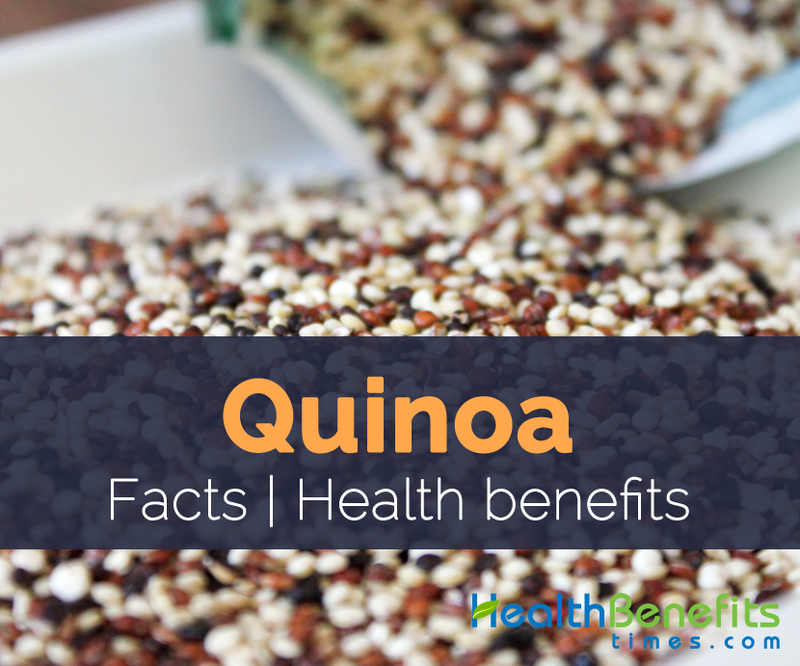 It is known by different common names like Quinoa, Quinua. Apart from in Argentina it is referred to as Dawe, Quinoa in Brazil, Libatop in Hungarian and Farinello in Italian. 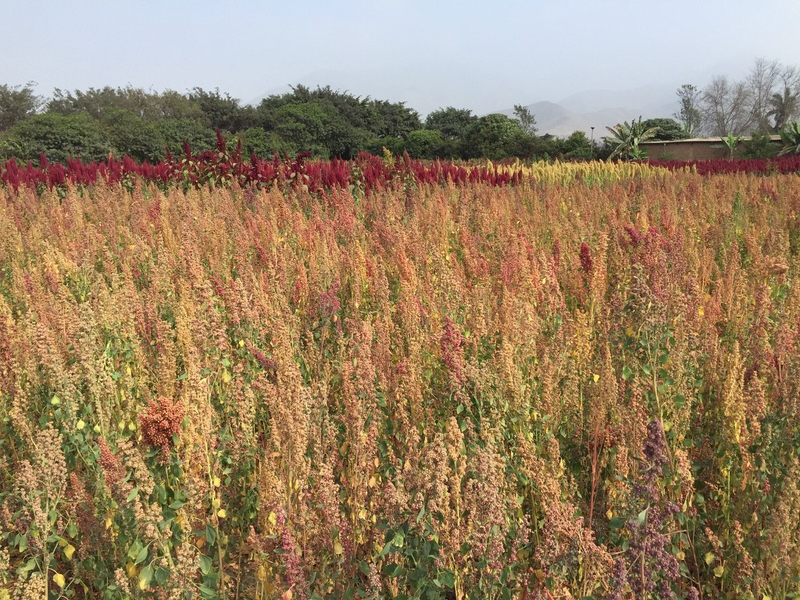 Brown to reds colored Quinoa is actually full of important Nutrients, minerals and Vitamins required for living a healthy life. Quinoa is actually an annual herbaceous plant growing 1–2 m (3.3–6.6 ft.) tall. It can be found growing in fairly cool conditions and prefers semi-deep, well-drained, sandy soil but will also grow in clayey soils. Quinoa has branched taproot and angular, ribbed stem with longitudinal green or red streaks. Leaves are usually alternate, coarsely toothed, triangular to ovate leaves. Flowers are glomerules, reddish, purplish to golden, regular, bisexual, sessile, small, pentamerous, tepals connate at base, stamens with short filaments and is found blooming from July to August. Quinoa is an indehiscent achene, protected by the perigonium, thin-walled and one-seeded about 2 mm (0.08 in) in diameter. Its color range from ivory to pinks, brown to reds, or almost black depending on the variety. It features nutlike flavor and taste like brown rice crossed with oatmeal. Seeds can be harvested during Aug to September. Seeds are 1–2.6 mm, smooth, lenticular, white, red, yellow, purple, brown or black along with thin leathery testa and endospermous. Quinoa seeds show outer seed coat that contains bitter ingredients known as saponins that must be detached before eating. Since it is extremely nutritious it is found used in number of healthy food recipe. Quinoa is considered to have originated from Andean region of South America. It has been effectively domesticated 3,000–4,000 years ago for human consumption. Apart from their wonderful taste Quinoa is a good source of nutrients, vitamins and minerals. Consuming 100 gram of cooked Quinoa offers 1.167 mg of Manganese, 281 mg of Phosphorus, 0.355 mg of Copper, 2.76 mg of Iron, 39.4 g of Carbohydrate, 118 mg of Magnesium, 78 µg of Vitamin B9, 2.02 mg of Zinc and 0.228 mg of Vitamin B6. Moreover many Amino acids like 0.096 g of Tryptophan, 0.235 g of Histidine, 0.29 g of Isoleucine, 0.342 g of Valine and 0.242 g of Threonine are also found in 100 gram of cooked Quinoa. Calories 222 Kcal. Calories from Fat 31.95 Kcal. Manganese is a mineral naturally occurring in our bodies in very small amounts. Apart from that it can also be found in quinoa in considerable amount. Manganese is an essential mineral related to the relief of osteoporosis and osteoarthritis syndrome. It is an essential mineral to add bone density and overall density. One cup cooked Quinoa consists of about 1.167 mg of Manganese which is 50.74% of the daily recommended value. Therefore consuming quinoa is recommended to prevent from Osteoporosis. Phosphorus is regularly noted as the second most generous mineral in the human body, and is second most significant element regarding maintaining bone health and integrity, behind calcium. Apart from that phosphorus plays an important role in helping effective digestion. It stimulates the digestion of niacin and riboflavin in an effective way. Phosphorous directly clears up constipations, indigestion, diarrhea, and generally tones up the digestive system for regular, healthy bowel movements. This will boosts the health of the digestive system, as well as of the kidneys, since the toxins are being removed from the body, rather than recycling through the kidneys and stressing that system. So Quinoa must be included in normal regular diet to solve all these problems as one cup cooked Quinoa consists of 281 mg of Phosphorus which is 40.14% of the recommended value. Copper is important for an overall healthy existence, as this mineral enables normal metabolic process along with amino acids and vitamins. Copper cannot be made within the body and thus needs to be added from external food sources. Quinoa consists of considerable amount of copper which is essential for the proper function of the thyroid gland. One cup cooked quinoa consists of 0.355 mg of copper which is 39.44% of the recommended value. Though excess copper is also a main reason for thyroid malfunction, therefore well balanced amount of copper is required in the blood. Imbalanced can result in either hypothyroidism or hyperthyroidism. Iron is related to the proper growth of human body and maintenance of robust health. Iron deficiency may cause weakness, fatigue, poor concentration and many more. Similarly iron is equally important for pregnant women. Pregnant women must consume more iron rich foods compared to anyone else. Therefore quinoa as well as other iron rich foods must be included regularly in pregnant women’s diet as it may help to fulfill the iron requirement. Also, pregnant women must consume more healthy fat and foliate rich foods during pregnancy. Magnesium is an essential mineral for staying healthy. It is necessary to keep muscle and nerve functions normal and to keep the heart beating rhythmically. 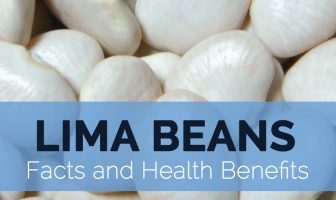 Deficiency of magnesium may lead to heart disease, often leading to fatal results. Magnesium rich food must be included to decreases various hazards related to heart. Quinoa intake protects the heart from uneven heartbeats as well as caringly shields your heart from damage, mainly from muscle stress. One cup cooked Quinoa includes 118 mg of magnesium which is 28.10% of the daily recommended value. Vitamin B9 is also known as folic acid, and it belongs to the vitamin B complex family. It is vital for the acceleration of metabolic processes in the human body. Vitamin B9 is beneficial for the treatment of patients suffering from anemia resulting from a folic acid deficiency. Vitamin B9 riche foods like Quinoa, green vegetables, cheese, and mushrooms as well as synthetic folic acid supplements can be used to treat these ailments resulting from folate deficiency. Similarly folic acid supplements may also be included as part of the recommended treatment of mainly menstruation-related problems as well as some leg ulcers. Poor diet and nutrient deficiency are the main cause of several eye diseases. Research has proven that consuming Vitamin B6 rich foods such as Quinoa together with other vitamins like foliate can help to prevent different eye disorders as well as loss of Vision. Quinoa intake is considered to help slow start of certain eye diseases like age related macular degeneration. One cup cooked Quinoa includes 0.228 mg of Vitamin B6 which is 17.54% of the daily recommended value. Dietary fiber, also known as roughage or bulk, includes the parts of plant foods body can’t digest or absorb. Dietary fiber can provide several health benefits too, like helping to maintain a healthy weight and decreasing the risk of diabetes as well as heart disease. Soluble fiber help to slow the absorption of sugar and improves the blood sugar level in diabetic people. Healthy diet which contains insoluble fiber may also decrease the risk of developing type 2 diabetes. Grain (seed), young leaves and young ears are consumed as human foods. It may be boiled, included with soups made into breakfast foods like cereals, pastas, bread, pancakes and flakes. Lightly fermented quinoa drink, chichi is admired as the “Drink of the Incas”. Quinoa extract along with lupine and mesquite, flavored with raspberry pulp is made to feed kids with nutritional deficiencies. High protein breakfast can be made from quinoa and mixed with almonds, berries and honey. 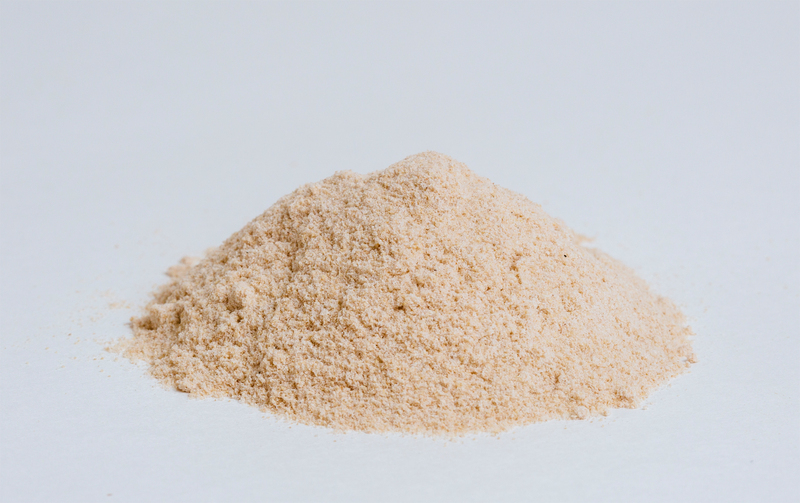 Quinoa flours, tortillas, pancakes, flakes, and puffed grains are produced commercially in Peru and Bolivia. Wheat flour along with to 30% quinoa flour creates fully acceptable loaf breads. Combining quinoa along with wheat, potatoes, barley and corn yields foods that are both filling and nutritious. Quinoa-fortified foods are fed to malnourished children for better results in Peru and Bolivia. Quinoa can be germinated and the sprouts can be used as salads. Quinoa ears are also used as vegetables. 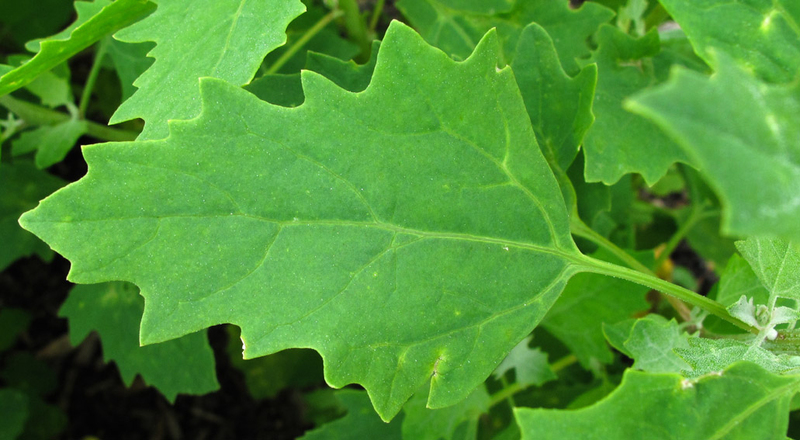 Ears of quinoa can be used to make pickles, and the leaves are eaten fresh in salads or cooked like spinach. 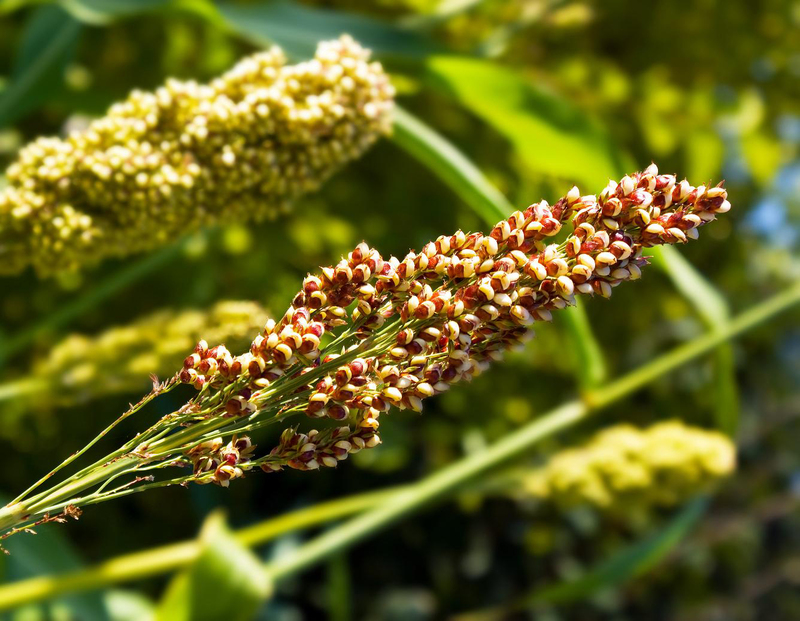 Grains, stem and leaves of quinoa have been used therapeutically for wound healing, as an analgesic against toothache, disinfectant of the urinary tract as well as anti-inflammatory. Quinoa is also used for fractures, internal hemorrhaging and as an insect repellent. Whole plant is used as green fodder. Harvest residues, leaves and stalks are used to feed sheep, horses, cattle, pigs, alpacas, llamas, donkeys, guinea pigs and poultry. Quinoa saponins have many uses like detergent for clothing, washing and as an antiseptic for skin injuries. Quinoa starch can be used as biodegradable fillers in low density polyethylene (LDPE) films. Quinoa has antioxidant properties so carefulness is suggested whenever taking quinoa with other agents that have antioxidant properties. Seeds include natural coating of saponins that can result in irritation within the stomach, stomach pain, laxative diarrhea and flatulence. Leaves and flower-heads of Quinoa id made of oxalic acid and must be washed-out in boiling water just before being eaten. Soil Prefers semi-deep, well-drained, sandy soil but will also grow in clayey soils. Fruit shape & size Indehiscent achene, thin-walled and one-seeded about 2 mm (0.08 in) in diameter. 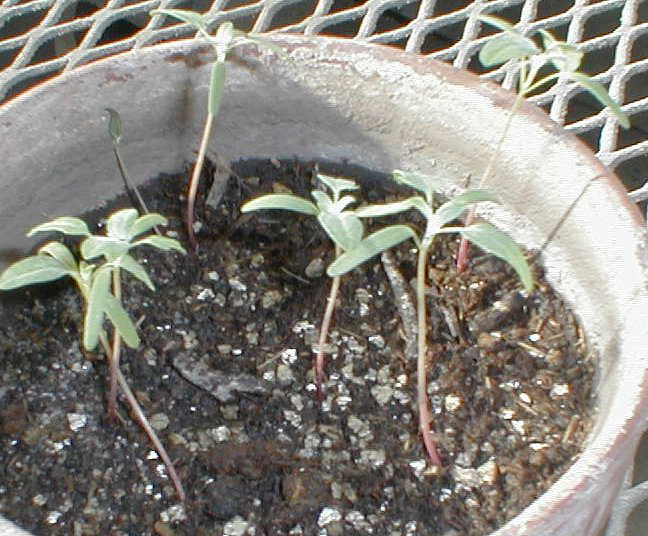 Chenopodium album var. quinoa (Willd.) O.Ktze.